In the past if we needed to erase or delete partitions from a hard drive we’d pull out our handy Windows 98SE boot floppy disk or later when floppy disks went away we’d use a bootable CD version of the Win98SE floppy. An example of why we would need to do that is if we had installed an Operating System for testing but needed to send the system out to the customer with a clean hard drive, ready for them to install their own OS. The Windows 98SE boot disc was a great tool for doing this, it would even let you delete an NTFS partitions using the FDISK utility. I know this all sounds ridiculously old school, but it worked and was usually more straight forward and quicker than other ways you could go about this. Then we began to notice that some of the new Socket 1151 motherboards wouldn’t allow you to boot to the Windows 98SE boot disc, it would basically just hang during the boot. We started using another way to delete partitions that was even easier and quicker. We’ve done this using a Windows 10 installation disc, but it will also work with Windows 8, Windows 7 and even Vista install CDs. Put the installation disk in and re-boot, select to boot from the CD/DVD Rom drive if the boot order isn’t already set this way. 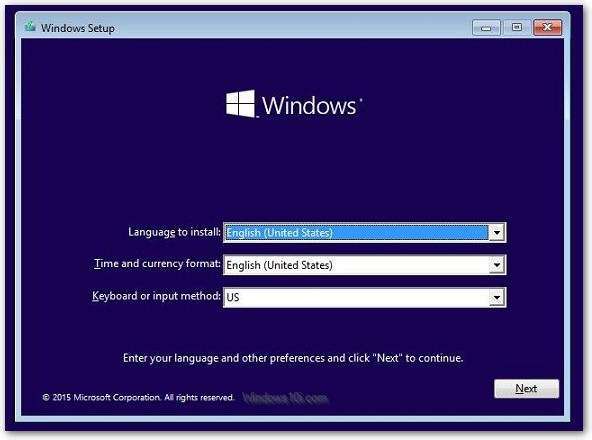 Once you get to the Windows Installation screen as seen below, press SHIFT + F10 on your keyboard. exit <enter> (this will take you back to the Windows Installation Screen as seen above. That’s it your partitions have been erased. At that point you can continue the Windows install.